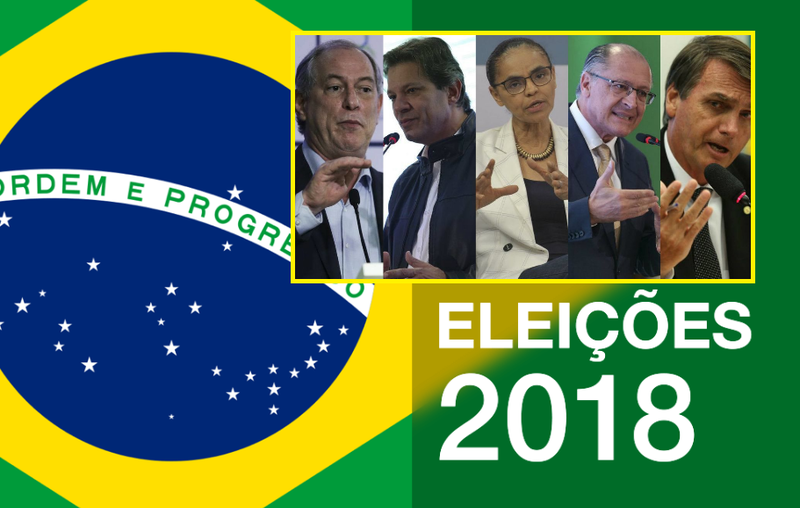 Whilst the other candidates have no choice left then to talk about their own economic plans now that leading rightwing candidate Mr. Bolsonaro was stabbed and is recovering in hospital, the attention is once again turning to the issues that really matter for Brazilians: the economy, crime, and corruption. Brazil, which has a two-round presidential election in October, has been in an economic downturn for a few years and any candidate that is not backed by a strong economic adviser and has a plan to get the country out of the rut is toast. Secondly, there is the growing crime wave that is sweeping the country. This is once again an issue that Mr. Bolsonaro is strongly favored for. Lastly, there is the issue of corruption. Even since the scandals involving South American companies Petrobras and Oldebrecht, politicians have all vowed: never again. Never would Brazilians have to face another president in office being investigated for corruption (like has happened with the last three presidents Silva, Roussef and Temer). The problem in Brazil is not the lack of democracy itself but corruption. For the left-wing Workers Party (Partido dos Trabalhadores or PT), former President Lula da Silva has been barred by the Supreme Electoral Tribunal because of his conviction for corruption and money laundering. His deputy Mr. Fernando Haddad, who is currently second in the polls, was recently charged by the São Paulo Public Prosecutor’s Office for passive corruption, money laundering, and gang formation on the suspicion of requesting $2.6 million from construction contractor UTC Engenharia to pay campaign debts. Another contender, Mr. Geraldo Alckmin of the Partido da Social Democracia Brasileira, PSDB, was accused of receiving undeclared sums both in the 2010 and 2014 election cycles and he is connected to multiple other party colleagues who are also under investigation for corruption. Related coverage: <a href="https://thegoldwater.com/news/37601-Brazil-Election-Economist-BBC-Signal-Renewed-Attacks-On-Bolsonaro"> Brazil Election - Economist, BBC Signal Renewed Attacks On Bolsonaro</a>. Mr. Ciro Gomes of the Partido Democratico Trabalhista, PDT has faced corruption allegations ever since 2010. In order to do business in the state of Ceara, it is alleged that his family business, Ferreira Gomes, received huge sums from companies that would receive their government contracts in return. Lastly, there is Ms. Marina Silva (Rede Sustentabilidade) of the Green Party. Ms. Silva has the “Clean Tab” which means that she has indeed always avoided corrupt campaign strategies and practices. Unfortunately for her presidential campaign, the other candidates keep reminding everyone that her husband, Mr. Fabio Vaz de Lima has been involved in a fraud investigation for automotive components in conjunction with the Superintendency of Development for the Amazon. MSM insists in making people believe Bolsonaro is the most rejected candidate. He'll win no matter what.